Start here. Every Monday through Saturday morning, I send exclusive tips and insights to 87,431 subscribers who get my newsletter. It’s become something of a Secret Pitching Weapon. Sign up now! Build functional strength the right way. 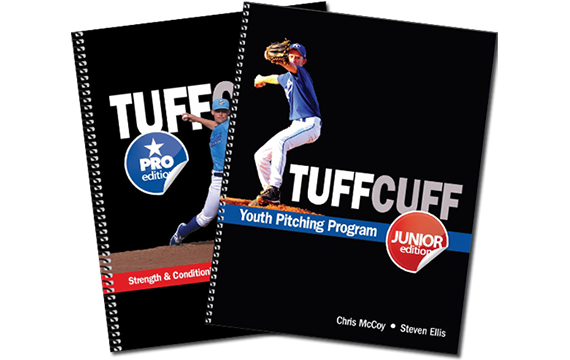 Explore my pitching workouts and throwing programs for players who work hard and don't make excuses. Really great exercises and a well-thought-out program. Learn how to be a smarter, more effective pitcher. 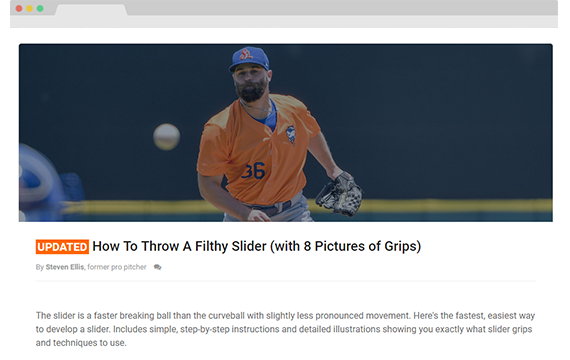 Read my latest instructional articles on pitching mechanics, velocity, grips, drills, workouts, techniques, fundamentals, conditioning, skills, strategy and more! 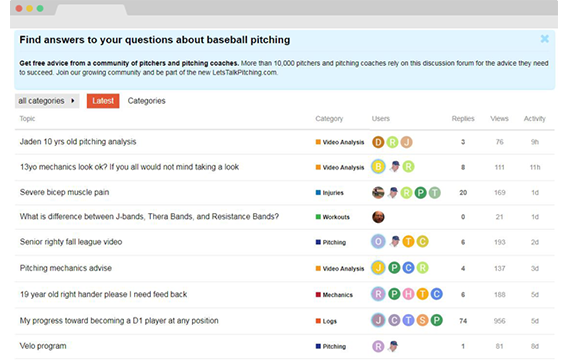 Find answers to your questions about baseball pitching from a community of more than 10,000 pitchers and pitching coaches on the message boards. 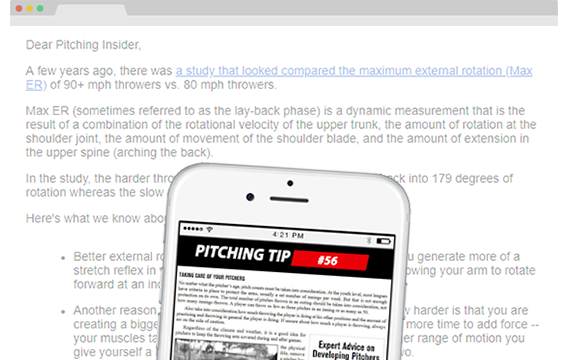 Learn how to improve mechanics, velocity, arm care and more with exclusive tips and insights that I only share with my newsletter subscribers. 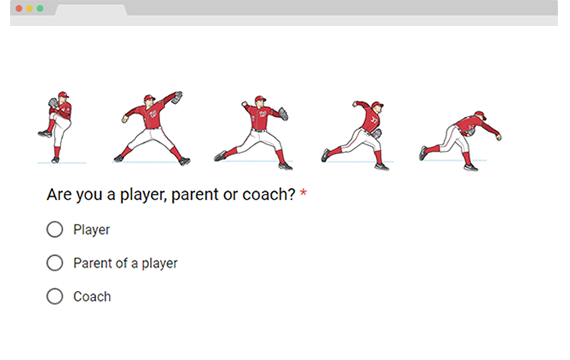 The 2019 National Baseball Pitching Survey is now available. It's just 5 questions.